Here are answers to some of the questions that are frequently asked relating to the death of a loved one. If there is something we have not mentioned, please do not hesitate to contact us. Firstly, it is natural to feel upset and not to know what to do. Take it one step at a time and we can help you through each stage if you wish. We are only a phone call away, at any time of the day or night. A doctor will usually visit to confirm death and to give permission for the funeral director to take the person to a safe place. Sometimes the doctor can give permission without the need for a visit. If this happens, the doctor will issue a death certificate later. You will need this to register the death, so keep it safely. If the death was unexpected, violent or unusual in any way, you will also need to tell the police. This may feel alarming, but it is necessary, as the death may have to be reported to the Coroner. The police will be sensitive to the situation and will liaise with the Coroner. If the death happened in a hospital or residential home the staff there will usually contact a doctor and arrange for the death certificate to be issued. Residential homes are usually aware of their residents’ preferred funeral director and they can often make the call for you. Hospitals usually ask you to contact a funeral director yourself. We can do as much, or as little, as you wish to enable the funeral to take place with dignity and according to your personal requirements. Except for actually registering the death, (which we are not allowed to do, by law), we are able to take care of everything else. No detail is too small to be worthy of our attention and we are available 24 hours a day, every day of the year, to assist you. Organising a funeral can involve contact with a large number of firms and individuals (doctors, minister, cemetery, crematoria, newspapers, florists, to name a few) but we can help you with any or all of these. We know the people who we deal with and trust them to provide an excellent service. We pride ourselves on treating every funeral with the same care and attention to detail that we would wish for our own loved ones, whether a large event in a cathedral, or a private family gathering. If the person died in hospital, they will be moved from the ward to the hospital chapel of rest where they can stay safely until forms have been completed. You can visit them there if you wish, just ask the hospital staff to guide you. Sometimes the family has to sign a form at the hospital to allow the person to be collected by a funeral director. Once we have been given permission by the hospital, we will bring the person to our premises, quietly and with dignity. If the death happened at home, or in a residential home, we can normally attend soon after. However, sometimes relatives may wish for the person to stay in the home for a while, perhaps overnight, to allow for a private farewell. We will attend at the most appropriate time afterwards to suit you. Wherever the death happened, the person will be moved with as much dignity as possible, using specialist equipment as necessary. The person will be placed in a laundered sheet and great care will be taken with jewellery and personal effects. A discreet vehicle is used to ensure privacy, and unnecessary attention. Upon arrival at our premises strict procedures are followed to ensure that the person can be accurately identified at all times. When someone dies the law requires that the next of kin registers the death. This is done by visiting the Registrar of Births, Marriages and Deaths in the district where the death happened, and must be done within five working days in most cases, with occasional exceptions (if the Coroner is involved for example). We can help you to find the right Registrar’s office if necessary. You will need to take the death certificate issued by the doctor. If you have the person’s medical card, also take that with you. The registrar will ask for the following information about the person who has died. If the person was married, the date of birth of the surviving widow or widower. The registrar will give you a Green Certificate, which we will need, and a form to send to the Social Security Office with any pension or allowance books. Both of these forms are free, but for a small charge the registrar will give you copies of the death certificate. It is a good idea to get at least three copies, to help when dealing with the person’s estate. When and where will the funeral be? Funerals usually take place 7-10 days after the person has died and we try to accommodate everyone’s wishes when setting the date. However, this can be affected by a Coroner’s involvement, the availability of a venue or minister, or whether the necessary forms have been completed. Where the funeral will be held may depend on whether the person is to be buried or cremated. A burial service would normally be held in the church adjoining the churchyard. If the burial is to be held in a cemetery, you may use the cemetery chapel, or another venue for the service such as a church or another place of worship. The service before a cremation may be held at the crematorium chapel, or at another place of worship, with a committal at the crematorium immediately afterwards. We can help you decide which venue is most appropriate for you, and we can put you in touch with someone to conduct the funeral with sensitivity to your wishes. Many people wish for the death to be announced and funeral arrangements outlined in a newspaper. We can place a notice in the newspaper/s of your choice on your behalf, and can help you decide on the appropriate wording if you wish. This may include instructions regarding floral tributes or charitable donations. Some families prefer to send cards to people they know, with details of the funeral inside, and we can assist with having these printed. You may wish for assistance with further notices, such as messages of thanks or acknowledgement, or later, an in memoriam notice. Once the person is in our care they will lie peacefully in our premises until the day of the funeral. They may be dressed in their own clothes, which you may choose, or a gown, which we can provide. If there is any delay between the death and the funeral, or if you wish to visit the person to say goodbye, we recommend that hygienic treatment be carried out by trained staff. This will allow the person to maintain their dignity right up to the funeral. May I come and see the person before the funeral? Many people find comfort in saying a final farewell before the funeral takes place. It is natural to feel nervous about visiting and we can help to explain things or reassure you, particularly if children are involved. We ask that visits are arranged by prior appointment, to ensure that you have peace and privacy. Very occasionally, visiting the person may not be a good idea and we would discuss this with you. There are many different types and styles of funeral and it is important to reflect the wishes of loved ones and the person who has died, as far as possible. We can help you by discussing the many different options available. If the person had a faith, it may be appropriate for the funeral to adhere to appropriate traditions. If the person was of no faith, a secular (non-religious) funeral may be more appropriate. We can assist with finding a minister or other appropriate person to conduct the funeral, and they will discuss the content of the service with you. A popular alternative to traditional burial or cremation is a green, woodland or environmentally friendly funeral, in which we specialise. The choice of music at a funeral service is very personal. We can assist with providing musicians or we can advise on using recorded music. Family, friends, or the person taking the service may give tributes. As an alternative to a traditional hearse, we can provide a horse-drawn hearse motorcycle hearse for a more personal touch. We can also provide limousine transport for family members. Your may wish to personalise the day further by, for example, releasing a white dove or setting free some balloons. We have never been a religious family. Do we have to have a vicar to take the ceremony? No – there are no requirements to hold a religious funeral service and there are a number of alternatives. Perhaps a relative or family friend could take the service if they feel able to do so. Other members of the congregation could speak or read verses or poems. We have a number of officiants that we recommend including members of The British Humanist Association and The Institute of Civil Funerals, who will provide a very personal non-religious ceremony. ‘Green funeral’ is a term often used to describe funeral services that take a less traditional form. This may mean choosing a location for the funeral service that is unusual, such as a woodland burial ground and selecting a coffin made of material other than wood. Woodland burial grounds are cemeteries, often privately run, where strict rules govern what can and cannot be buried. The burial grounds have been established to provide an alternative burial or funeral service, without loosing any of the respect, dignity and professionalism that you would find in more traditional settings. When arranging the funeral you will be asked to decide what will happen shortly after the cremation. The ashes can be held at the crematorium for up to six weeks and they may be collected by you or by us. The ashes can be placed in the crematorium Garden of Remembrance. You may or may not wish to attend when the ashes are laid to rest and this is a personal decision. You may choose the location in the garden if you wish, and can arrange for a memorial if this is appropriate. The crematorium offers many choices and they will show you the gardens and explain the options to you. A few people still like to keep the ashes of a loved one close to them and may keep them at home, or bury them in the garden. There may be a churchyard or family grave where the ashes can be interred. Some people prefer to have the ashes scattered in a place that is personal to them – a fisherman may like to be scattered at the coast, a walker on a hilltop, or a golfer on a favourite course. You can even have memorial jewellery made from the ashes – we can discuss the many different options with you. Floral tributes are an expression of respect and affection for a loved one and visible sympathy for the bereaved. They are very personal and can be ordered from our trusted local florist if you wish, who will deliver them to our office shortly before the funeral. The main tribute will be placed on top of the coffin and will remain there throughout the funeral service. Other tributes will be arranged around the coffin inside the hearse and moved during the service, so everyone can see them afterwards. 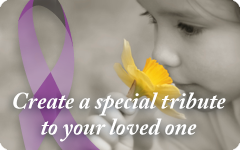 Sometimes the family may prefer charitable donations to floral tributes and a particular charity may be supported. This may be linked to the loved ones’ interests or the care they received during an illness. This may be mentioned in a newspaper announcement along with the funeral arrangements. We can collate the donations, keep them securely, and will provide you with a list of donors and a total before passing the funds to the nominated charity, who will acknowledge receipt. We have trusted, reliable printers who are able to provide Orders of Service, Condolence books and other stationery to suit your personal requirements. They may be as simple or ornate as you wish, with or without photographs, and we can show you a variety of samples to assist. You will be able to see a proof of the service sheets before they are printed. This question is difficult to answer without knowing more about your preferences. The cost of a funeral is broken into two parts. Some charges are fixed, such as doctor’s fees and crematorium charges, and are paid by us on your behalf for your convenience. Other charges are for our professional services and may include the cost of a coffin, flowers, stationery and other variable items. At the time of arranging the funeral we will give you a rough estimate of the cost, with a written confirmation to follow once you have finalised your choices, allowing you to be in control of the cost at all times. Our account will be sent to arrive approximately five days after the funeral and we ask where possible for this to be settled within one month. Can I get assistance with funeral costs? Assistance is available from the Department for Work and Pensions (DWP) Social Fund which can provide assistance to individuals who meet the required criteria. To qualify you demonstrate that you are the most suitable person to take responsibility for paying the funeral account and be receiving at least one of several qualifying benefits and have insufficient savings to pay for the funeral. If you have other questions and would like to talk them through, please feel free to drop in for an informal chat over a coffee, or if you prefer, phone or email.